"Go wherever we are needed and do whatever comes to hand." This was the pledge made by Ballington and Maud Booth when they founded Volunteers of America in 1896. Now, 123 years later, these words still define us as we continue our legacy of responding to the needs of those who are vulnerable. 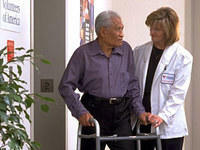 For older adults and others coping with illness or injury, we offer a continuum of services. 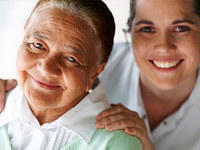 We provide long-term nursing care, assisted living, memory support, respite programs, rehabilitative therapy and more. "I guess if you haven't ever been the caretaker for someone with dementia, you don't realize it's a constant togetherness. His involvement in the (Volunteers of America) program has given me some freedom from the stress. It's been a big relief - not only to me but to my family." For more than 123 years, Volunteers of America has responded to the nation's health care needs. Today, we are a major provider of professional long-term nursing care for older adults and others coping with illness or injury. 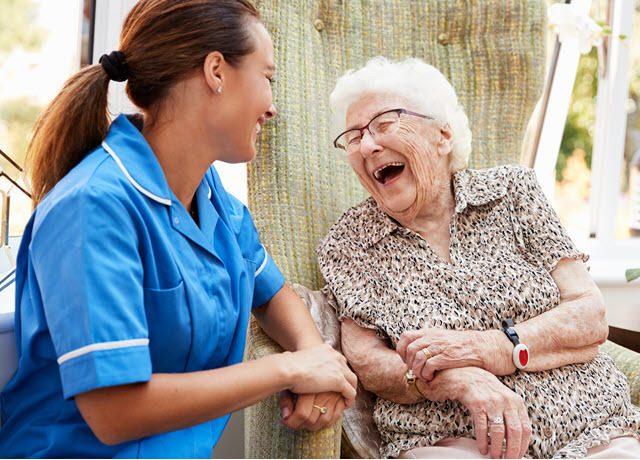 We offer a continuum of services in our senior living and care communities that extends to people with disabilities, and includes long-term health support: nursing care, assisted living, memory support, home health care, rehabilitation and much more. Volunteers of America owns and operates over 20 senior living and care communities throughout the United States and is dedicated to providing supportive, nurturing environments with services designed specifically for each individual. Learn more about our individual communities and services. Our community-based programs provide social, recreational and supportive services to older adults who live alone, or as dependent relatives. Nutritious meals programs are available at some locations. Adult Day Service centers also offer participants’ care providers time off from the demanding responsibilities of caregiving. Assisted living is designed to allow you to maintain your highest levels of independence and health, while enjoying an appealing place to call home. You choose when and how to receive health and personal care services with licensed nurses available to help manage assisted living care. 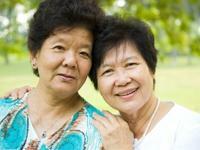 Added conveniences and optional amenities can enrich your assisted living experience. Designed to meet older adults’ therapeutic needs, the goal of our inpatient behavioral health program is to overcome one’s current crisis, achieving personal growth in the process. Emotional and psychological health is addressed, as well as physical or medical issues. Individualized treatment programs are designed by our health care team in collaboration with each patient’s physician. Treatment takes place in a comfortable, welcoming environment that includes private accommodations. As our short-term rehab guest, you’ll find we share your goals as you work toward recovery after illness, injury or hospitalization. You’ll experience Optimal Care, a specialty team approach to providing personalized therapy and health care that helps you regain target levels of strength, mobility, independence and wellness. Your Guest Services team is available to fulfill requests, and to offer up-to-the-minute social activities and amenities information. Choose one of our state-licensed skilled care centers when you require high levels of individualized health care and services. There, a specialist-led Optimal care team of licensed nurses, certified nursing assistants, rehabilitation therapists and other professionals relies on your input – and collaborates with your physician – to develop your plan of care, and keep you your healthiest. 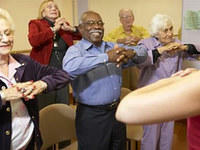 Life enrichment, educational and spiritual activities enhance your wellness. Whether you need a higher level of care due to a change in your health, short-term assistance while recovering from an illness or hospital stay, or require help living with a disability or chronic disease, a home health services team of nurses, rehab therapists and home health aides delivers care right in your residence. Your individualized plan of care is coordinated by your team, in collaboration with you and your physician. Maintenance-free independent living leaves you more time to experience everything your senior living and care community has to offer, including an active social calendar of celebrations, stimulating programs, spiritual events, or a quiet time at home. An array of added conveniences and optional amenities enhances the sheer freedom of independent living with style – yours! Within tranquil memory support households, people with memory loss move throughout their days enjoying the freedom to be active and social, while experiencing structured care and supervision. Long-term health needs are met by on-staff specialists. 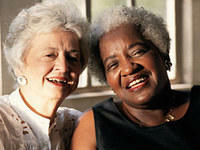 Volunteers of America memory support caregivers are expertly trained, and support family of those with memory loss. Memory support household access is controlled. Whether you’re a caregiver who needs a short break and are looking for trustworthy care for a loved one – or are someone recovering from an illness or hospitalization who needs a comfortable, affordable place to recuperate – respite and recovery programs provide short-term health care and services, as well as social and recreational activities. 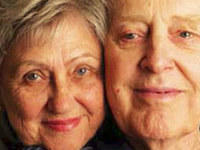 Programs include memory support, assisted living and short-term rehabilitation.